Flushing things down the toilet is more than out of sight, out of mind. Especially if you end up with clogged drain pipes. Some people regard the toilet as a place to get rid of waste, just like a trash can, in reality, they couldn’t be farther from the truth. The only items that belong in a toilet are human waste and toilet paper. Not paper towels, not flushable wipes, not other bathroom items. Only toilet paper. Flushable wipes are the latest in a long line of items that aren’t so flushable because they are not biodegrabable and won’t break up. They stay intact, and create massive clogs for homeowners and local utilities. Yet, homeowners continue to put flushable wipes in the bathroom, where they can easily be flushed down the toilet. The problem is don’t come apart since they are not made of paper, unlike toilet paper. It’s best just to drop it in the trash, where it won’t cause a problem. Flushable wipes are not alone in clogging pipes. Feminine hygiene products were once considered flushable, but experience has taught many homeowners that flushing these were a bad idea. Many people also flush expired medicine down the toilet. In addition to harming streams and creeks, the bottles themselves often pose problems. 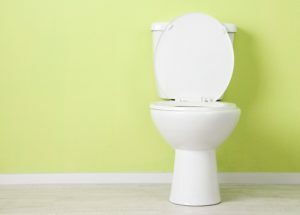 Instead of routinely flushing these items down the toilet, flushing only toilet paper is recommended, and regularly using an enzyme-based drain cleaner occasionally. These are like vitamins for your drainage system, and biological drain cleaners are useful at keeping drains free of organic material as long as pipes aren’t clogged. These enzyme-based cleaners help remove hair, soap residue and skin flakes that find their way into drains and toilets. If you don’t listen to this advice, you may end up calling a plumber, and spending money to get the offending items removed. People use wipes to remove makeup, clean up a spill, or to wipe their hands off after using the toilet. Wipes cannot disintegrate. When flushed they can combine with other waste in the system to form into larger globs that becomes indestructible. Although it is a tiny string, they aren’t meant to dissolve. Once it gets wrapped around other material, it creates a knotted problem in sewer systems. Although some people think it is safe to flush old medications, the chemicals in this medication is not safe and can end up in water supply. Although most paper towels are biodegradable, the absorbency makes them prime contenders to clog pipes. They will not disintegrate in the sewer system as they are designed to sustain tough wear and tear. They could escape into the ocean and cause damage to marine life. Even though diapers contain waste, it does not mean that they are designed to be flushed down the toilet. There is a slim chance the diaper will make it down the drain, but if it does it will get caught in a bend and cause a serious back up.